Owned and maintained by The Colonial Dames of America, the Mount Vernon Hotel Museum & Garden presents the period of the Mount Vernon Hotel, which operated from 1826 until 1833. Constructed in 1799 as a carriage house for a 23-acre estate, and converted into the Mount Vernon Hotel in 1826, this stone building sits on land originally owned by Colonel William Stephens Smith, and his wife Abigail Adams Smith, daughter of John Adams. It is open to the public Tuesday through Sunday. This fashionable country resort was popular among New Yorkers who wished to escape the hustle and bustle of the city which at that time extended only as far north as 14th Street. The hotel advertised itself as “free from the noise and dust of the public roads, and fitted up and intended for only the most genteel and respectable” clientele. In those days, one could arrive by stagecoach or else by steamboat up the East River to the pier on East 61st Street and spend the day at the hotel sipping lemonade in the ladies’ parlor or playing cards in the gentlemen’s parlor. 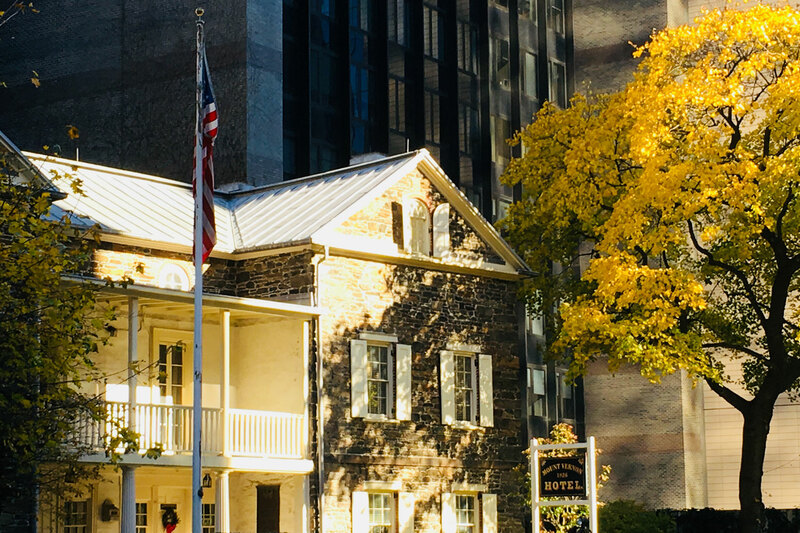 As New York City’s only surviving day hotel and one of the few remaining 18th century buildings in Manhattan, the Mount Vernon Hotel Museum brings a bygone era of old New York alive for visitors of all ages. 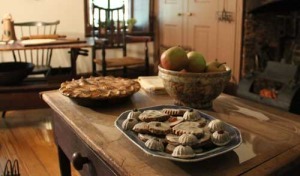 Today’s visitor can see eight fully furnished period rooms including the ladies’ north and south parlors, the upper hall, the gentlemen’s parlor and tavern room, a table set for the midday meal, and the kitchen where it would have been prepared. As a day hotel, there was only one guest bedroom, which is also on view. The museum has an extensive collection of American furniture and decorative arts, costumes, quilts, and textiles. Objects not on view are available to researchers by appointment. Works on paper include early American and New York City documents.The museum has an extensive collection of American furniture and decorative arts, costumes, quilts, and textiles. Objects not on view are available to researchers by appointment. Works on paper include early American and New York City documents. Docents conduct interactive tours for walk-in visitors which can be geared toward children, students or people with a particular interest (e.g. Social History, Decorative Arts, etc.). Family packs are also available with interactive activities for families with young children.